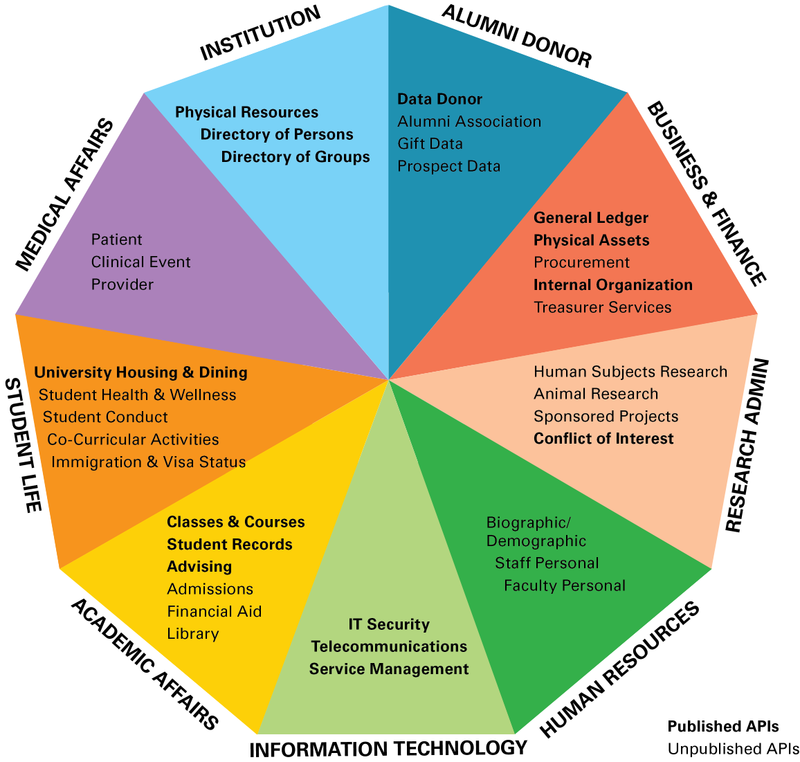 The API Directory organizes APIs by the University of Michigan's Data Areas. The info-graph below shows each Data Area and its sub-categories. Categories shown in bold have APIs published through the API Directory.